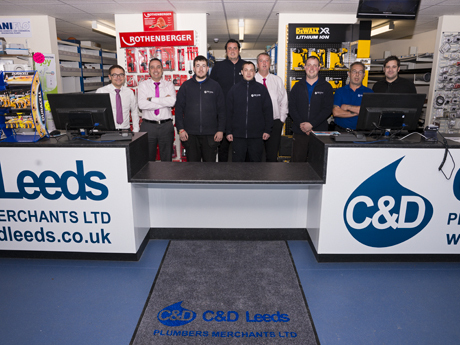 C&D is one of the UK's leading independent plumbers merchants, specialising in the supply of commercial plumbing products to a nationwide market. We won't treat you like a number. We believe in the personal touch and in making our knowledge and experience open to our customers. We have built our business and our reputation around excellence in customer service. We work in a highly competitive industry and our customers have a wide choice of suppliers, but we believe that our consistently high levels of repeat business – originating from small DIY enthusiasts to multi national contractors – are due to our uncompromising levels of customer service. All our staff have a real wealth of experience within the industry, and understand the issues and problems faced by contractors and DIY enthusiasts. They are trained to help our customers find cost-effective, quality solutions. When our customers are buying products, they need them immediately. Our experience in the industry means that we understand what our customers want and when they want it. We stock over 4000 lines in our warehouse, available for onsite collection or next-day delivery to site.